HIV/AIDS researchers have never understood why people infected with HIV developed AIDS at different times, but now they suspect that it all has to do with their genes. A study by South African and US researchers has shed new light on how specific genes in people can lead to the faster progression of AIDS-related illnesses in people living with HIV who are not on treatment. 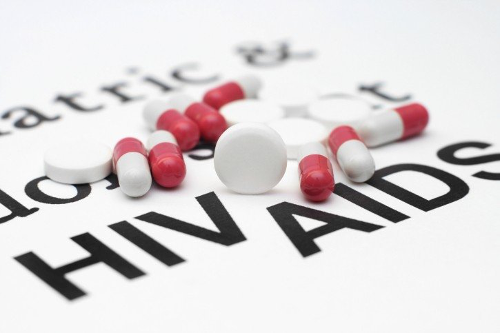 The study, which polled 9,763 people living with HIV in SA and the US, showed that individuals with the specific HLA type progress from asymptomatic HIV infection to becoming ill with AIDS faster. The viral load in these individuals was higher and their CD4 immune cells were destroyed more rapidly, before they started antiretroviral treatment. It is estimated that about two-million people, of about seven-million living with HIV in the country, have this specific HLA type. Acclaimed HIV/AIDS expert Prof Salim Abdool Karim said they had known for a long time that if 10 people became infected with HIV, each of them would develop AIDS at different times, but they never knew the reason. 'We never understood why. Now we finally understand what is responsible for whether you are going to get AIDS quickly and whether you are going to live longer with AIDS. Now we understand that this is due to your genes and one specific type of gene expression called the human leucocyte,' Karim said. He said the finding had now opened the door to look at whether a new drug being developed for cancer would be able to slow down the development of AIDS. The research team included scientists from the KwaZulu-Natal Research Innovation and Sequencing Platform (Krisp), the Centre for the AIDS Programme Research in SA (Caprisa) and the Human Pathogenesis Programme (HPP) based at the University of KwaZulu-Natal, and researchers from the US National Institutes of Health and the Ragon Institute. 'I was pleasantly surprised by the findings as I expected the opposite results since the HLA genes were thought to protect against viruses,' said Dr Veron Ramsuran, co-leader of the study who is a scientist at Krisp and Caprisa. Dr Vivek Naranbhai, a South African doctor and scientist currently at Harvard University and who is affiliated to Oxford University, Caprisa and the Ragon Institute, said this was the largest genetic study on HIV thus far. Elevated HLA-A expression impairs HIV control through inhibition of NKG2A-expressing cells. Ramsuran V, Vivek Naranbhai, Amir Horowitz, Ying Qi, Maureen P. Martin, Yuko Yuki, Xiaojiang Gao, Victoria Walker-Sperling, Gregory Q. Del Prete, Douglas K. Schneider, Jeffrey D. Lifson, Jacques Fellay, Steven G. Deeks, Jeffrey N. Martin, James J. Goedert, Steven M. Wolinsky, Nelson L. Michael, Gregory D. Kirk, Susan Buchbinder, David Haas, Thumbi Ndung'u, Philip Goulder, Peter Parham, Bruce D. Walker, Jonathan M. Carlson and Mary Carrington, Science (2018), 359:86-90.